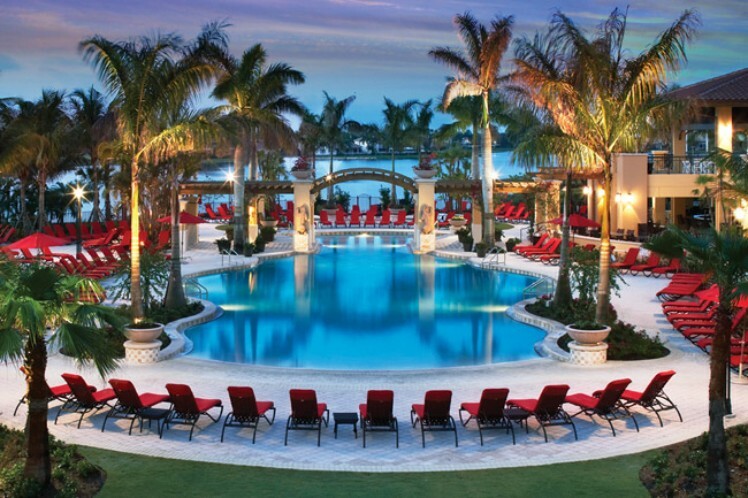 The PGA National Resort & Spa has just undergone a $65 million dollar renovation that now offers virtually every imaginable amenity anyone might ask for. Lush tropical landscaping, a new zero-entry pool, five-- yes, five legendary golf courses, newly renovated guest rooms, ballrooms, meeting rooms and lobby. Add to all of the above, the Spa at PGA offers an invigorating massage, rejuvenating body wrap treatments and healing mineral pools. 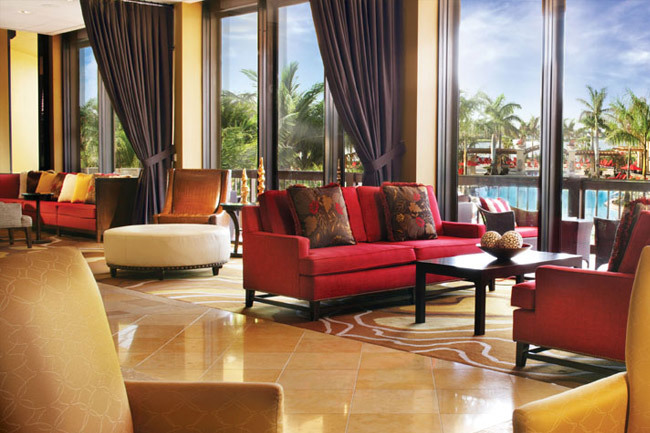 The redesigned swimming pool offers a separate kids' zone play area with lush tropical plantings. 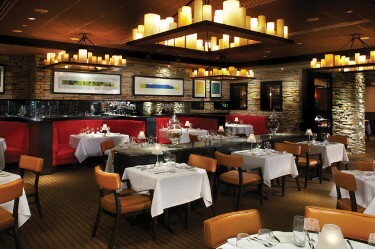 Adjacent to the pool is the infromal Wave Bar & Grill which serves casual cuisine and drinks. The Health & Racquet Club, a sprawling fitness center, offers the latest equipment for weight and cardiovascular training. Also offered are yoga, spinning or Pilates classes. Whatever activity you may be interested in, from tennis to croquet to jogging, relaxing by the pool, or visiting with classmates in the lounge, the PGA Resort & Spa offers our class the best in relaxation, recreation and fun. The cuisine at PGA National is phenominal! The preparation, presentation and ambiance are exquisite. And--- the best part of all of this luxury is we have been able to offer this reunion package to you at a VERY affordable price! 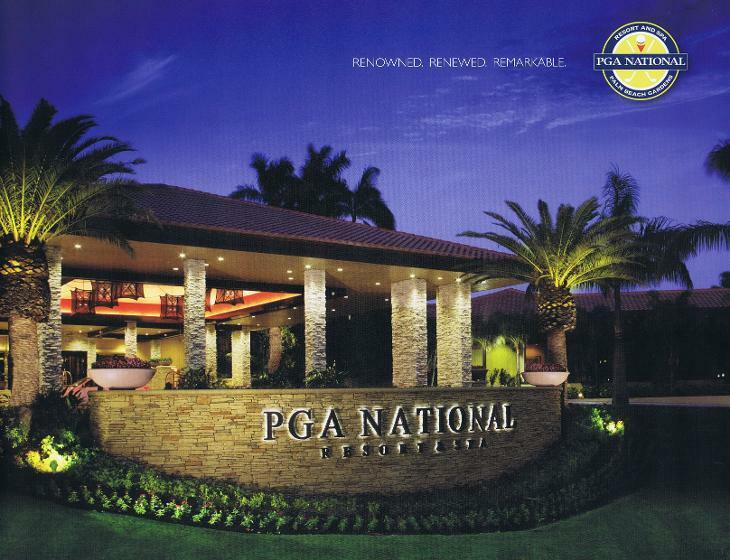 So, whether it is dining, recreation or relaxation, the variety of choices offered at PGA National are astounding AND affordable. Begin making your plans to join us for our 55th class reunion at the fabulous PGA National Resort & Spa.